A closer look at some of the most embarrassing defeats that the Kiwis have suffered in their ODI cricket history. Top 5 Embarrassing defeats for New Zealand in ODIsA closer look at some of the most embarrassing defeats that the Kiwis have suffered in their ODI cricket history. However, like the best cricketing nations in the world, New Zealand have also experienced some real lows in ODI cricket and here is a look at 5 of their most embarrassing defeats ever. 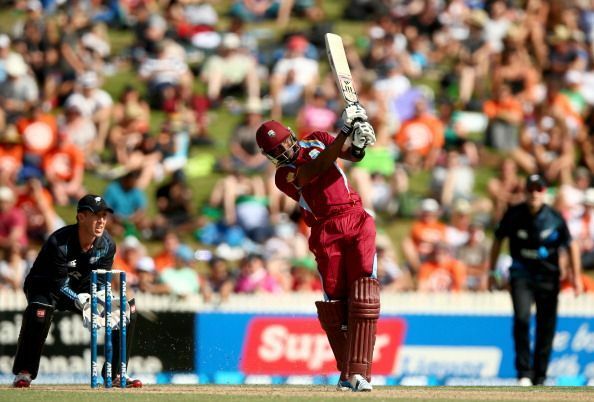 #5 203 run loss to the West Indies at Hamilton, 2014Dwayne Bravo during his superb knockA year prior to the 2014 World Cup at home, New Zealand hosted the West Indies in a 5 match series and were leading 2-1 when the teams headed to Hamilton for the 5th ODI. New Zealand needed to win the game to win the series but their decision to bowl first backfired badly as the visitors put them to the sword on a batting paradise. From 45 for 2, New Zealand collapsed to 160 all out in 30th over and slumped to one of their biggest losses in ODI history.